Warfare, as we know, has gone digital, its volleys and counter-attacks rattled out 140 characters at a time. Historically, nation states with superior military prowess have been in a position of influence, and are often dubbed superpowers. But in the post Cold War era, such geopolitical giants have not had a monopoly in terms of technological interventionism. Terrorist regimes have lifted the veil on conventional warfare and sought non-traditional methods to attack their counterparts. So-called “rogue states”, such as Iran and North Korea, have been accused of hiding weapons of mass destruction (WMD) and developing nuclear programs. Today asymmetrical attacks can have the same psychological impact as a missile strike – we need only evoke the downing of the Twin Towers as a prime example. A state that has limited capital to fund its wars and limited resources to equip its armed forces does not necessarily need heavy artillery and sophisticated weaponry. Unconventional warfare can wreak havoc. 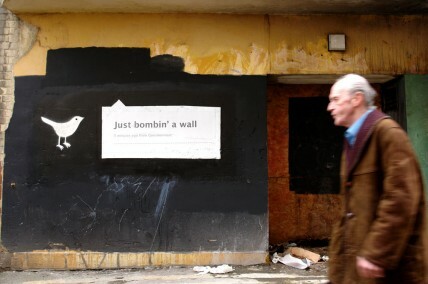 Who needs uninhabited spy drones for reconnaissance and guided missiles for precision killings? Who needs squadrons of fighters, bombers and attack aircraft and intercept missile defense systems? Who needs integrated soldier-system controls and night-vision goggles, smart-grip rifles, smart boots for direction and on-board computer packs for intelligent communications? Such military innovations are certainly useful in an all-out war but they are not the only way war can be waged. 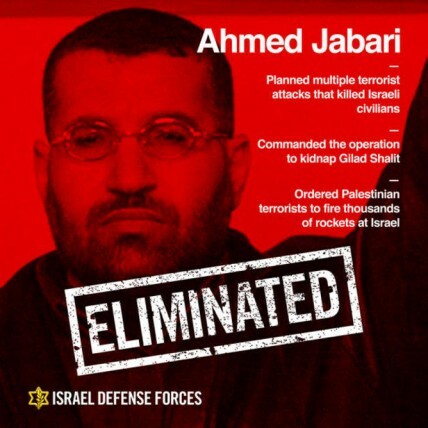 IDF Pinpoint Strike on Ahmed Jabari, Head of Hamas Military Wing. 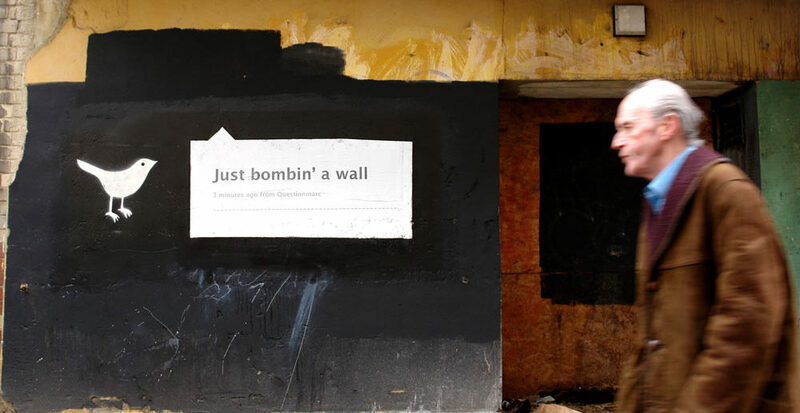 Web 2.0 applications provide a complementary avenue for militaries to sway the hearts and minds of the international community, especially for the underdog. Why rely on CNN, BBC or Al Jazeera to report on what is happening during a crisis when militaries themselves can inform observers in real-time using Twitter, Instagram, Tumblr and YouTube? Just mash it: share, republish and embed. During the latest conflict in Gaza – which began on November 15 and came to an end following a ceasefire imposed in the early hours of this morning (AEST) – we’ve seen a war of words and images playing out before us. On the one hand, the State of Israel resorted to the use of Twitter to convey its message to its enemy and to the diaspora in what some have described as PR campaign “Brand Israel“. On the other, the Palestinian state responded by using its own Twitter account and threatening to retaliate with even greater force, uploading a record number of posts (more than 450 for the month of November alone). Surely we must rethink the socio-ethical implications around live-tweeting such events. Were the Israeli Defense Forces and Alqassam Brigades playing out an ultra-violent reality-TV show in this online war? You shouldn’t have done that because what I can do to you is much worse! Tweeting the image of an assassinated military commander with “ELIMINATED” stamped across it (as per the picture above) raises questions about what we can expect in the future. Automatic reporting from the bomb itself? And what of hoax texts? These can prove particularly dangerous with devastating consequences. And as if microblogging was not enough, we now have raw multimedia clips uploaded by both the Israeli Defense Forces (IDF) and Hamas on YouTube that show us the actual point of impact of an explosion (see video at the top). We can play these back as many times as we wish and even get the feeling of sitting on the pin-head of the missile or bomb as it is detonating. We are not so far, it seems, from Stanley Kubrick’s Dr Strangelove (see video below). Our children shouldn’t be poisoned by images of war. Regardless, both of the combatants have been blatantly promoting violence and hatred and breaking with internet application policies of “objectionable material”. Soldiers in their twenties upload pictures on Instagram and blog about their experiences in real-time. “I was there when this happened.” It is their lifeworld. But it is also surreal. Slim Pickens riding the bomb to his and our destruction in Dr Strangelove: How I Learned to Stop Worrying and Love the Bomb. How can we be sure that what we are being fed on Twitter is a true and factual account? If the Facebook, Twitter, LinkedIn and YouTube accounts of the Israeli Deputy Premier Silvan Shalom can be hacked and filled with pro-Palestine status updates then anything is really possible. The central role being played by social media is not unique – and both states in this instance have had operational Twitter accounts for some time – but it does have interesting characteristics. For one, it is not the citizens against the State, as was played out in the London Riots on August 6, 2011. No, this has been a conflict using social media between two states – and the citizens are its audience. In the Vancouver Riots of June 15, 2011 there was an unprecedented amount of video footage and photographs taken by thousands of smartphone users in what has been termed crowdsourced sousveillance . Each of these phones could corroborate the events of the riots in Vancouver but when a military puts up a single video link the evidence is questionable. Third, in the London Riots – unlike the Israeli-Palestinian online war – rioters and the supporters of rioters mainly used Blackberry Messenger to make it more difficult for their activities to be traced via public spaces such as Twitter. What might the motivation be for launching a Twitter war in the first place? Any social media consultant will tell you that the spread of ideas from person to person can be captured with data mining techniques: everything from social network analysis (TwitterFriends), to who is following who and who is being followed (TweetStats), to content analysis-based searches on keywords (TwitterVenn) and hashtags, to a geodemographic analysis of Tweets over time for a given account (UberTwitter). Is there a quicker way of capturing all Israeli or Hamas sympathisers in a uniquely formed social network based on a mix of politics, religion and nationalism? Israel and Palestine would now seemingly know more about one another than ever before. Opinion leaders have been ear-marked, as have their followers. What does this mean for national security? Everybody tweets, even the armed forces – how better to locate these individuals than by using a real-time geographic Twitter map? But how do we know that what is being said is factual? Who or what do we believe as outside observers? Propaganda is an old tool to warm the masses. 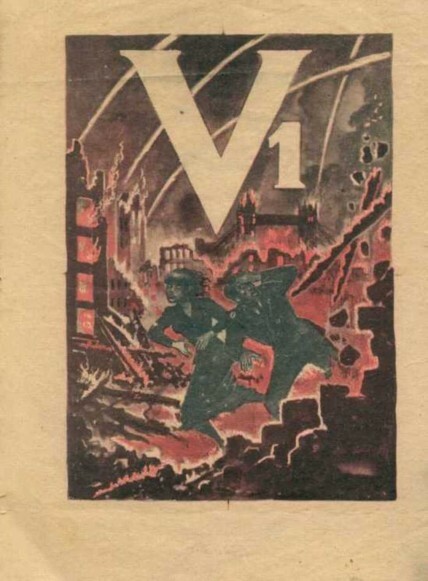 In the second world war the Nazis dropped tens of thousands of leaflets (see image above right) from the skies to convince those whom they were invading that all would be well under the Third Reich. Today those same pamphlets have been turned into tiny bits and bytes, messages that can transcend time and space and go global in an instant via electronic networks. And we not only have Twitter but a whole host of tools at our disposal. Are they the new “weapons of mass destruction”? Why not spread disinformation, or deliberately stretch the truth a little or a lot? Why not cause uprisings because that is what might suit us during any given month to deflect attention from elections, peacemaking and the like? Those who see fit now have everything they need to measure opinion, conduct sentiment analyses and employ social media to sway opinion this way or that. Our job, as always, is to be discerning. The author would like to thank her collaborator Dr MG Michael, previously an honorary senior fellow at the University of Wollongong, NSW, Australia, for his insights and valuable input on the initial draft of this article. Katina Michael has received funding from the Australian Research Council (ARC). She is a senior member of the Institute of Electrical and Electronics Engineers (IEEE), the vice chair of the Australian Privacy Foundation (APF), and a representative of the Consumer Federation of Australia (CFA).